Those “curried vegetable dishes” might not have tempted the chicken tikka devotee I was at 10. But as a newly minted New Yorker, with no job but a problematic rent check due every month, they had one massive advantage. They’re cheap. This was not lost on Ginsberg. “The cheap food – 15 cents a huge vegetarian meal – I’ve lived on for weeks at a time,” he wrote. 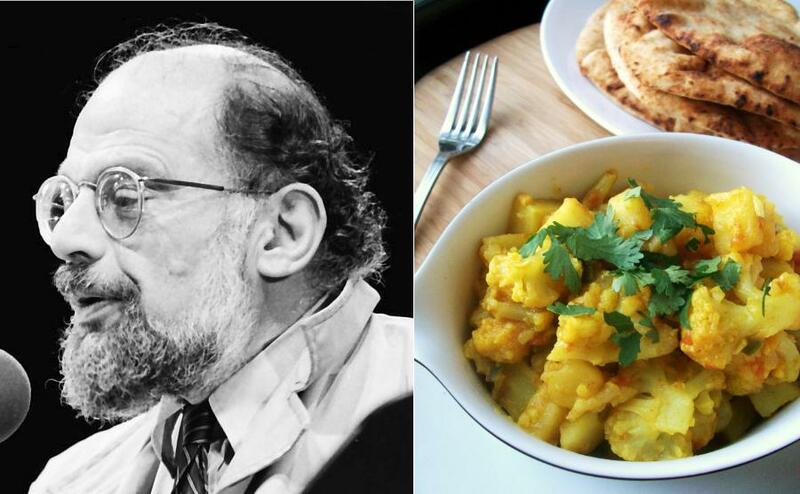 Aloo gobi is the ideal dish for the cash-strapped beatnik: Buy a few potatoes and a head of cauliflower, and you have sustenance for several days of poetry readings. “Food makes a difference in physical and mental states after all,” Snyder told Ginsberg. I didn’t need to be a Hare Krishna to tell you that. 1. With a mortar and pestle, mash ginger, garlic, ground coriander, cumin and turmeric into a paste. In a small bowl, combine paste with 1/2 cup water. 2. In a large pot, warm oil over medium-high heat until shimmering. Add serrano pepper and ginger paste. Cook, stirring frequently, until paste thickens, about 2 minutes. 3. Add cauliflower, potatoes, and tomatoes, stirring to coat with spice mixture. Add 1/2 cup water. Cover and cook over medium heat 10 to 15 minutes. 4. Remove lid and add salt. Continue to cook, uncovered, until cauliflower and potatoes are tender, about 5 minutes. Garnish with fresh coriander and serve with paratha or naan. I’m with your mom on lamb! 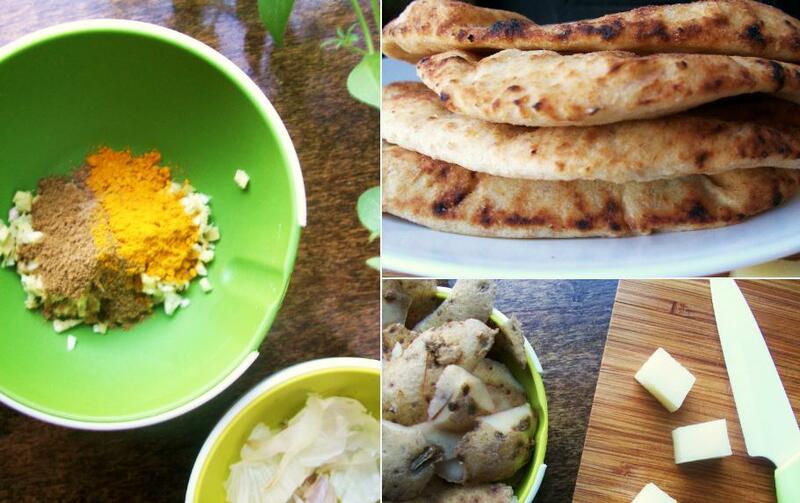 The Aloo Gobi sounds good – minus the turmeric. I think perhaps I’m a more picky eater than I have realized! Turmeric doesn’t do too much for me either, but I love the colors, so I give in and use it every time! Oh, Aloo Gobi is my fave! I love Ginsberg, too, of course. As always, an interesting and appetizing post. Thank you! It’s one of my go-to dishes, too – so simple to make, with a big payoff at the end! Yum. Love this, especially your first paragraph. It’s funny – my mom was visiting this weekend and wouldn’t let me hear the end of this. Every restaurant we went to: “Oh, look at this delicious LAMB burger. I MUST eat it.” But she knows I speak the truth. Also – your photos are SO beautiful. I need to take some notes 🙂 What camera do you use? Oh, that is so funny … in the way that only mothers can do, eh? And you’re too sweet. I use a Canon EOS 50D, for food stuff mostly with a 60 mm f/2.8 lens. I am still learning. Finally, speaking of mothers, I’m a librarian’s daughter. And, very likely for that reason (plus your very nice photos! ), I think your blog is just delightful. Looking forward for the next post!